Review a paper, it’s worth it. Although it takes precious time, it is important to review papers – it keeps the wheels of academia churning away, and without reviewers, the peer-review process is dead and peer-review is the cornerstone of scientific publishing. However, the review process is typically anonymous so why would anyone review papers? What’s the benefit to an individual? Why not just cheat the system and publish papers without ever reviewing papers? Here are six arguments about why all researchers should review papers. 1. Responsibility. If you publish papers, it is your responsibility to review papers. A constructive and high quality review improves your own work and you owe it to other authors to provide the same (or better!) service. 2. Learning. You can learn a lot from reviewing papers, including new techniques and methods (e.g., analytical, field and laboratory methods). Reviewing papers keeps you up-to-date on the literature within your discipline. I find it exceedingly difficult to keep on top of current literature, in part because of the proliferation of journals in recent years, and because life is busy. Reviewing papers in your discipline helps you understand what other scientists are reading and citing, and can often point you to literature you would have otherwise missed. Reviewing papers can also show you what NOT to do with your own research! I am often amazing and sometimes stunned at mistakes uncovered when reviewing papers, and this in turn allows for a more critical approach with the research coming from my own laboratory. 3. Benchmarking. Reviewing papers allows you to stay on top of current theories, hypotheses, and controversies within your discipline, which allows you to embrace a stronger conceptual framework for your own research. This allows for a very current and often insightful benchmark for your own research. 4. Personalities. Reviewing provides you with a nice window into the ‘personality’ of science and the ‘personalities’ in science. It allows you to interact with editorial boards, and allows you to read what people in your discipline say to editors (i.e., in their cover letters), and can provide you important insights about the personalities of leading researchers in your field. In the competitive and often political world of scientific publishing, such insights can be useful as you maneuver through the peer-review process and work on your own manuscripts. 5. Validation. Being asked to review a paper means that someone out there values you and your work. ‘They’ have decided that you are one of a select few researchers who has the skill set needed to evaluate a piece of primary research. Feeling valued comes far too infrequently yet is important for morale and overall well-being (read: take it when you can get it). 6. Scientific karma. What goes around comes around. Cliché, perhaps, but I believe firmly that you can do yourself a lot of good by reviewing papers. It can be a small world, and important personalities in science will remember you if you do a high quality review. Continually refusing to do reviews will also put you in a negative spotlight, and people will also remember this. Being collegial, and being willing to share your expertise, is a responsibility, and in many ways, a gift. Good things will happen if you help out your scientific community. 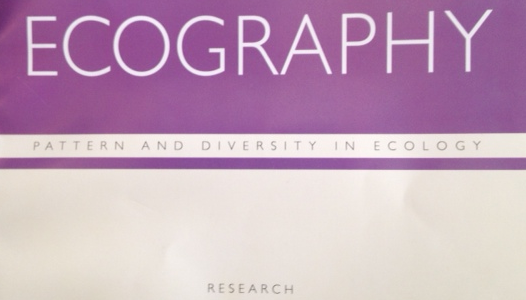 As an anecdote, when I was gearing up for tenure at McGill, I provided a review for the journal Ecography. My review was selected as being high quality, and valuable, and the editorial board of that journal sent me a mug, and a nice letter of thanks (yes, a REAL letter!). I put a copy of that letter into my tenure dossier to illustrate that the broader scientific community recognizes the value of this kind of contribution. I do not know if that letter made any real difference in the tenure process at my institution, but I’m quite sure that it didn’t hurt. How much reviewing should you do? This is a tricky question. When starting out your career, I think reviewing at least as much as you publish is a good idea. Later, and as your skills at reviewing become more efficient, I think it possible to review perhaps one paper per month. That being said, when a review request comes along that is precisely in your area of expertise, do not refuse! Is it OK to say no? If you are under tight time constraints, if the area of research is beyond your expertise, or if you have a clear conflict of interest that will interfere with your ability to provide an unbiased review, you can and certainly should refuse a invitation to review. However, please do the editor(s) a favour and suggest other potential reviewers that you think would be qualified. How do you go about reviewing a paper in a timely and efficient manner? That is discussion for a future blog post! Now, go check that e-mail… you may have a review request waiting. ← Spiders do not bite.